You read it post some pics and explain your trip. And older hunts are just as good as the new ones. Nice! That's a good size one. Neighbor's son got a nice buck in our woods today. That's a dandy! Did they weigh him? Yep, that one is a dandy. The neighbors have trail cams up out back. There is another one that could be a twin to that one, a nontypical about the same size, and one that is larger than the other three still out there. 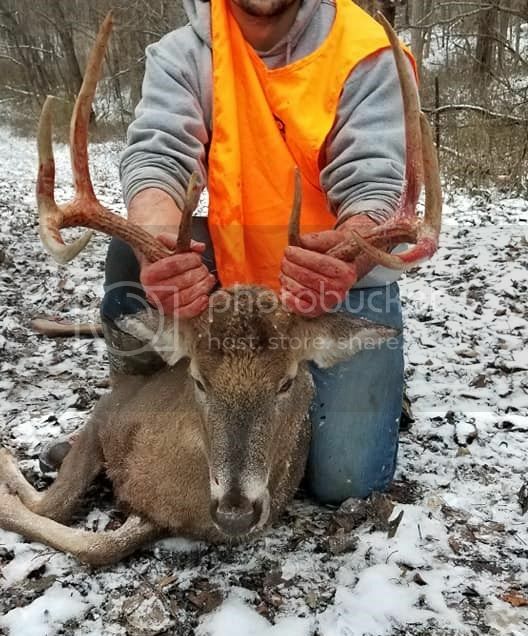 That is a wicked cool 8 pointer! Congrats to him!